SlashDash is a multiplayer showdown launching exclusively on Xbox One on July 17, three days later. Developed by Nevernaut Games, it puts players in the shoes of tiny ninjas who duke it out in a fast-paced 2-4 player bash. Compete for glory against your foes or team up with a friend in Capture the Flag. The game is easily accessible but also offers a deeper level of mechanics. SlashDash will feature 9 different interactive maps. Each of said maps includes elements influenced by historical landmarks from the Japanese Edo period. Perfect for parties and tournaments, players shoot, teleport, slash, and of course dash to victory. 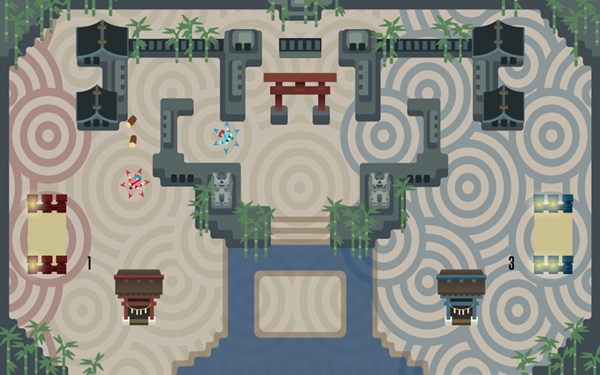 Furthermore, the music and sounds of each match will evolve as the game progresses, making each match sound different from the last while utilizing Japanese instruments and samples. 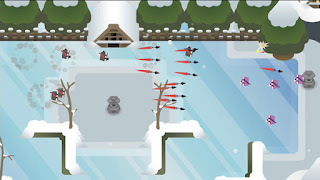 At the beginning of each match, players will be able to choose their weapon of choice to best fit their gameplay style, or to counter their opponent. 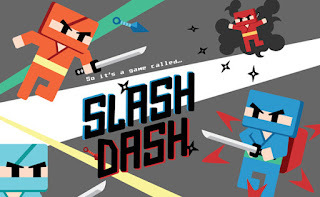 There are four game modes in SlashDash including: Capture the Flag (2v2), Assassination (2v2), Deathrace (free-for-all) and Mirror Match (free-for-all).